Marshall Aerospace and Defence Group has delivered its 400th production auxiliary fuel tank in support of Boeing’s P-8 maritime patrol aircraft program, has confirmed orders for more tanks through to mid-2018 and is set to increase its production rate. Since July 2012, every tank has been delivered on time, enabling Marshall to retain its GOLD rating for ‘delivery performance’ under the Boeing Enterprise Supplier Tool (BEST) rating system, which is reviewed on a 12-month cycle. 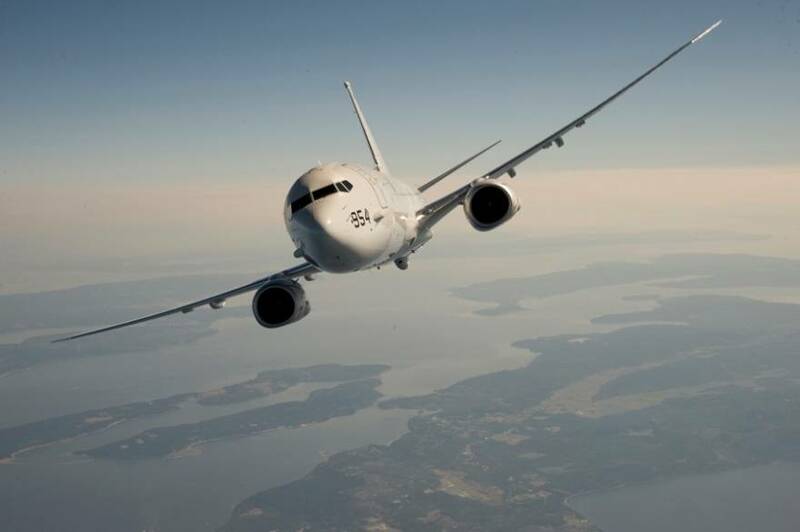 The P-8 maritime patrol aircraft is a military derivative of Boeing’s 737-800 platform and the auxiliary fuel tanks, which are fitted by Boeing, extend the flight range of the aircraft and allow for additional time to perform the mission. Steve Fitz-Gerald, CEO of Marshall Aerospace and Defence Group, comments: “The auxiliary tanks are a Marshall design, so to be manufacturing, testing and delivering them on time, to quality and to cost every time demonstrates our ability to support Boeing with key programmes”. Marshall is supplying the auxiliary fuel tanks in ship sets of six, along with a number of Line Replaceable Units and components. Marshall Aerospace and Defence Group delivers its 400th production auxiliary fuel tank in support of Boeing’s P-8 maritime patrol aircraft program. In front of the tank: Liz Ruse (Supplier Quality Manager, Boeing Defence UK), Ray Cutting (Director, Land Systems Marshall Aerospace & Defence Group), Paul Cochrane (Supplier Manager, Boeing Defence UK), Louise Eades (Procurement Agent, New Business Development, Boeing Defence UK) and, in the foreground, Ross Harvey (Director of Supplier Management, Boeing Defence UK) and Iain Gouldson (Programme Director, Aerostructures, Marshall Aerospace & Defence Group).